We’re going to do something new today, which is an update from Canada. And for that we’re going to go to our correspondent in Quebec, Dimitri Lascaris. Now, besides being our correspondent there, he is also a lawyer called to the bar in New York State and in Ontario, Canada. He previously practiced securities and banking law in New York City, Paris, France, and Canada. He’s also our roaming correspondent on climate change. So I thank you so much for joining us, Dimitri. DIMITRI LASCARIS: Always a pleasure, Sharmini. 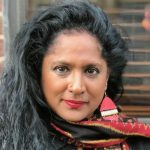 SHARMINI PERIES: All right, Dimitri, let’s start off with what happened in the Ontario elections just last night. Tell us all the highlights. 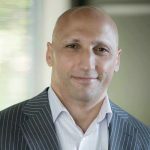 DIMITRI LASCARIS: Well, last night the so-called Progressive Conservative Party led by Doug Ford swept to a victory in the Ontario election, Canada’s most populous province. He won a majority of the seats, I think approximately two thirds of the seats; 76 out of 124 seats, with approximately 40 percent of the popular vote. And this is, you know, a perverse feature of what we call the first -past-the-post electoral system here in this country, where, you know, voting results in the range of 39, 38, 40, 41 percent will typically earn a party a majority holding within the legislature or parliament. It’s a rather undemocratic feature of our system, but that’s what it is. And for years people have been trying to change it, and the two major parties, the Conservatives and the Liberals, will have none of it. So the NDP, which, you know, I think is widely regarded as a social democratic party, but really is more of a centrist party, certainly in Ontario, led by Andrea Horvath, got about 34 percent of the popular vote and 40 seats to the Progressive Conservative 76 seats. The Liberals, the incumbent government, were virtually annihilated and only have seven seats. They lost about 90 percent of the seats although their popular vote only fell by about 50 percent. And interestingly, the Green Party, for the first time in Ontario history, elected somebody in Guelph, the leader of the party Mike Schreiner. Also, a candidate in Ottawa Centre, of the capital of the nation, right in the heart of the capital of the nation, named Joel Hardan, who was just a brave and plainspoken democratic socialist, a champion of the Leap Manifesto- a very visionary but controversial manifesto here in Canada, controversial only because it’s hotly opposed by the fossil fuel sector- and also an outspoken defender of Palestinian cause, he won. He defeated the Liberal candidate, the incumbent, who was the attorney general in Ontario. So the major victory, something that a lot of people are happy about, along with the victory of the Green Party leader. So you know, this is- on the whole, though, Sharmini, it’s a bad night for progressives, because Doug Ford is, I think, by any rational measure a hard-right ideologue. He was very cagey about how he was going to balance the budget, reduce government expenditure by billions of dollars. He claimed to be able to do this without cutting a single job. You know, he’s associated, and rightly so, with the disastrous mayoralty of Rob Ford, who’s now passed away. He was the mayor of Toronto, Canada’s most populous city, and his tenure was just marked by one scandal after another. I think two years ago if you asked most Ontarians whether Doug Ford would become the premier in 2018, they would have laughed at you. But I think the hostility towards the Liberal Party was so intense that it paved the way to a Doug Ford victory, and this is exactly, I think, what happened in 2006 when Stephen Harper won the federal election. There was never majority support for Stephen Harper in this country. He wasn’t appealing to a broad swath of Canadians. But there was so much disdain and contempt for the scandal-plagued Liberal government of Paul Martin that it opened the door to Stephen Harper’s rise to power. And we, now we see it again in Ontario. And Liberals seem to have a very unfortunate talent for enabling, you know, hard-right populists like Doug Ford and Stephen Harper, I don’t even know if it’s fair to call them populists, at least Ford pretends to be, you know, to rise to power. And so really there’s, a lot of the blame for this has to be placed squarely at the foot of the Liberal Party. SHARMINI PERIES: All right. Now, on the up side, we do have NDP, who will be the official opposition in Ontario. What will this mean for Ontarians? Will this- I know they have a s upermajority, almost, on the conservative side. But, but at the same time, the opposition does play a critical role in the government in Ontario. What hope can people put, if you are progressive, on them? DIMITRI LASCARIS: Well, certainly the the the role of official opposition will give Andrea Horvath and the provincial NDP a much more high-profile role in the legislature, and it’ll be an opportunity for them to showcase what they have to offer, and for Andrea Horvath to show that she’s capable of being a leader. But the practical reality is that when the other party has a large majority of seats, it’s not even close, it’s going to be very difficult for any party, including the NDP, to stop Doug Ford from implementing his agenda. And it’s very difficult to discern what that, what that is, other than you can be sure it’s not going to be, it’s not going to be good for public education. It’s not going to be good for our socialized medical care system. It’s not going to be good for the poor, by any stretch of the imagination. It’s probably going to be very good for the rich. And Andrea Horvath’s going to have a very difficult time doing anything to stop it. I think it’s going to rely, we’re going to have to rely much more on opposition in the streets, and hopefully, you know, people within the civil service talking sense to Doug Ford about what is practically achievable and what isn’t. SHARMINI PERIES: All right, Dimitri. Now, let’s switch over to the G7. Prime Minister of Canada Justin Trudeau is hosting the 44th G7 summit this weekend in Quebec. And G7 group consists of Canada, France, Germany, Italy, Japan, the United Kingdom, and the United States. Now, jokingly, or some of the pundits in France have called this the G6-plus-1, sort of a pun on the fact that the Iran agreement, for example, which is 5-plus-1 is now, basically the U.S. has withdrawn from it, and it’s in tatters. Plus they have withdrawn, the U.S. has withdrawn from the Paris agreement. It’s sounding like a bit of a joke even, even the recent tiff with Justin Trudeau over the tariffs between Trump and, and Trudeau has now somewhat isolated the United States in the G7 meeting. So first of all, tell us about the meeting, and also what the agenda of the meeting is, and what these rifts are generating as the meeting got started today. DIMITRI LASCARIS: Well, I think we can anticipate that the meetings are going to focus on the very issues that you’ve identified. Principally, I think it’s going to focus upon the tariffs that Trump has slapped on Canada and other states. It’s widely believed, and probably with some reason, that Trump is potentially precipitating a trade war between not just the United States and states with which it is not typically a llied like China, but with its own allies. And I think this is playing well, frankly, to the American electorate. It’s alarming people here in Canada because Canada, at least the widespread perception, has benefited greatly from the North American Free Trade Agreement. And now Trump seems to be escalating not just the rhetoric but the action to rebalance the trade relationship between Canada and the United States in favor of the United States to a marked degree. This has really sort of exposed Trudeau to a great deal of ridicule in Canada, frankly, particularly amongst progressives, because ever since Trump came to power he has been conspicuously silent about Trump’s offensive behavior. So when Trump used, you know, scatological language to describe certain African nations, Trudeau was very silent about that. He wasn’t, he didn’t, at least, publicly declare himself to be offended by Trump’s language. You know, when Trump pursued a Muslim ban, when Trump, you know, engaged in any manner of offensive behavior, Trudeau again and again and again remained mute. He was repeatedly criticized by this, particularly by the NDP and the federal Parliament, and everybody who defended him said, well, he’s got to do this because we have this great trade relationship with the United States, and we’re involved in these delicate trade negotiations over NAFTA, and he doesn’t want to offend the sensitive Donald Trump. Well, at the end of the day that strategy is a massive failure, because Trump went ahead and slapped trade tariffs on Canada, anyways. So Trudeau’s ended up with quite an egg on his face. And now he has another problem, and that is that just before Donald Trump got on the plane from Washington he declared that he believed that Russia should be brought back into the G7. And immediately, Canada- the Trudeau government- flatly rejected the proposal. Stephen Harper, who I think spearheaded, or at least was one of the leaders who spearheaded, the expulsion of Russia from the G8 immediately chimed in, agreed with Trudeau. It’s remarkable how often Stephen Harper and Justin Trudeau actually agree about things, even though they claim to disagree on so much. And so now you’ve got this additional wedge, which is isolating the United States. You can imagine the reaction of the other, the Western, the Western European governments are participating in this as well. We’re not at all favorable to that. The thing about this, though, Sharmini, is this is probably the one sensible thing that Donald Trump has tried to accomplish during his presidency, as Noam Chomsky has observed many times, is to try to reinvigorate the detente between nuclear-armed Russia and the West. You know, this is something that should actually, in my view, be embraced by the Western powers. Why not bring Russia to the table? Why not discuss a range of issues that we have to get a grip on- for example, the carnage in Syria, the climate crisis, you know, refugee flows in the Mediterranean, and so forth. There is a whole range of critically important issues where we can be cooperating with Russia, whatever differences we may have. And you know, on this score, I think Donald Trump, to be fair to him, is right. We should be having a dialogue with Russia, and we should expand it not only to Russia. We should have a dialogue with all of the major powers, and avoid- and prefer diplomacy to economic and military warfare. Unfortunately, on this one point, Trump is not making any headway, and I think the simple reason is he’s discredited himself in so many other ways that he just has no political capital to consume at this stage. SHARMINI PERIES: All right. Let’s talk about the climate issues involved and particularly the way in which Justin Trudeau has dug his heels in on the Kinder Morgan pipeline issue that you have been reporting on, Dimitri, and the buying of it, and and the whole Paris climate agenda. Now, give us a sense of whether this issue would even be discussed. Not th e Kinder Morgan, but the issue of the Paris climate agreement and where the G7 stands on this, and the way in which Justin Trudeau has been actually behaving contrary to the goals of the Paris agreement. DIMITRI LASCARIS: Well, before the G7, you know, it’s being hosted in Quebec, as you indicated. And by the way, they put it way out in the woods, in a town called Charlevoix, which has about 13000 people in it. And it’s, you know, two hours away from the closest large city, Quebec City. 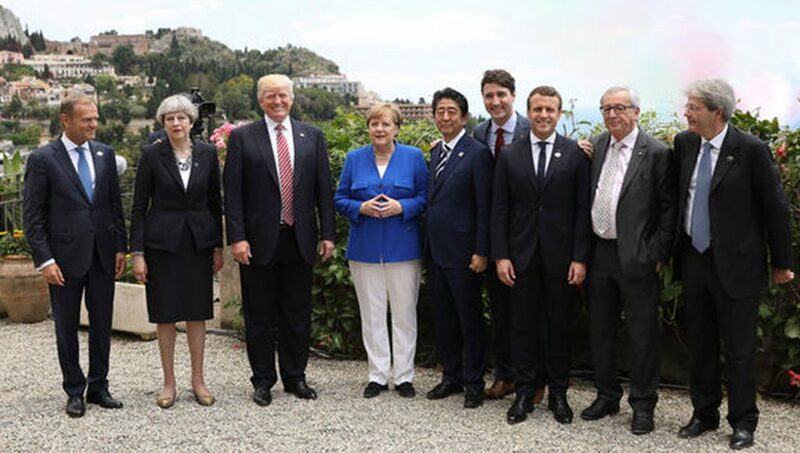 And it’s interesting how these G7s seem to become more and more distant from the general population as time goes by, because I think the policies that these leaders of Western countries are pursuing are not popular amongst electorates. Nonetheless, before this latest exercise in Western diplomacy began, Trudeau said that he wanted to go back to, he wanted to return to the G7 this year and re-establish, I’m paraphrasing, his credentials as a climate leader. The problem is that this is just not backed up by action. It’s pure rhetoric. And we now see that clearly. Canadians see very clearly that a government that is going to spend 4.5 billion taxpayer dollars to acquire a tar sands pipeline that cost the seller $550 million about 10 years ago, and that is going to increase by, I believe, a factor of seven tanker traffic on the West Coast, is going to facilitate the exploitation of massive tar sands deposits. And you may recall, Sharmini, the NASA scientist James Hansen said in a New York Times op-ed years ago that if we exploit that resource fully, it is game over for the climate. Is absolutely clear that the pursuit of that tar sands pipeline project is radically incompatible with Canada’s commitments under the Paris climate accord. And so Justin Trudeau is going to the G7 with empty hands. He has nothing really to offer to back up whatever rhetoric he’s going to articulate while he’s there to deal with the climate crisis. And this is playing into the hands of Donald Trump. I mean, Donald Trump could quite fairly say to the man, you’re telling me that I should be in the Paris climate accord, but you’re floating your obligations under the Paris climate accord by facilitating growth of the tar sands industry. SHARMINI PERIES: All right. Dimitri, we’ll check back with you again next week after the G7, but I thank you so much for joining us and for your update on Canadair thank you very much. And thank you for joining us here on the Real News Network.